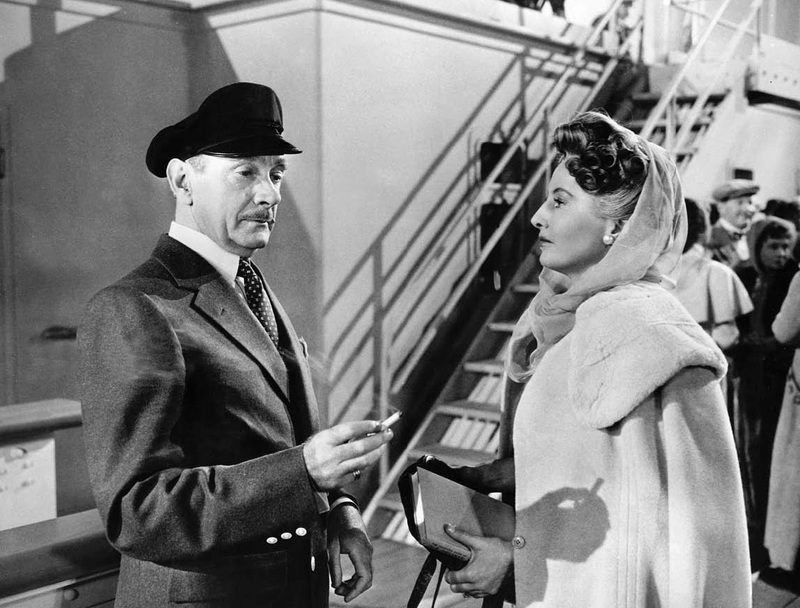 Determined to leave the superficial, high-society world in which her husband Richard (Clifton Webb) is engrossed, Julia Sturges (Barbara Stanwyck) boards the R.M.S. Titanic in England to travel to America, along with her two children. Hoping to reconcile with his family, Richard purchases a steerage ticket aboard the ship, unaware of the fateful events that loom ahead. There's been many different versions of the tragic sinking of the Titanic along with all of her doomed passengers, with each version a product of its time. With each movie, the focus of the story changed slightly, more of the actual details of the sinking were included as they were learned, and of course the special effects improved each time. I've seen a couple of other Titanic related movies and even reviewed A Night to Remember (which you can read here), but when offered a chance to review this movie I jumped at the chance as I can't get enough of this story. This time around, the doomed relationship isn't Jack and Rose but instead of an unhappy couple who are on the brink of divorce at the start of the movie. 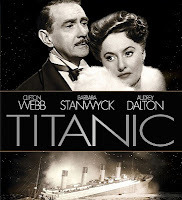 In fact, during the opening of the movie, Julia Sturges (Barbara Stanwyck) is trying to escape her wealthy husband Richard (Clifton Webb) by taking their children to America aboard the Titanic without his knowledge. Richard discovers her plan and rushes to the dock just in time to bribe another passenger to get a ticket to board the ship too. Once on-board and on the way to America, Richard finds his wife and their children in the dining room much to her chagrin. Julia tells him that their marriage is over and that she plans to take the children back to her hometown in Michigan where they will live normal lives that won't corrupt them like their current extravagant lifestyle does. 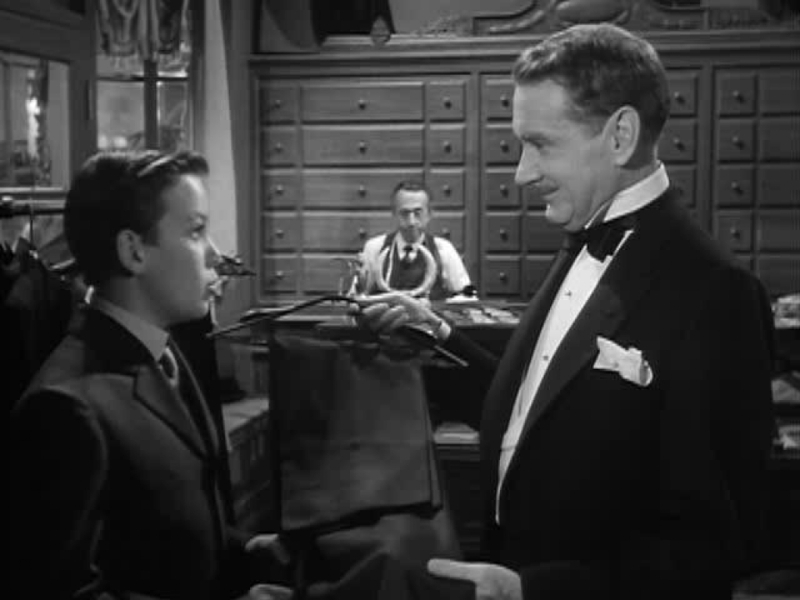 Richard isn't happy to hear her plans and starts sabotaging them by subtly setting their kids, Annette (Audrey Dalton) and Norman (Harper Carter) against Julia. It's fairly easy for Richard as Norman idolizes his father and Annette has already become the vain and shallow person that her mother feared she would become and one who isn't ready to lose the lifestyle she become accustomed to. Annette informs her mother than she is going to stay with her father in France, which greatly upset Julia who wanted to keep her children with her. Julia is determined to take Norman with her but Richard refuses and during their ensuing argument, Julia reveals that Norman (who Richard dearly loved) isn't his son, but instead a result from a one night stand after one of their arguments. Stunned, Richard tells her that he wants nothing to do with Norman and he coldly brushes off his son when Norman comes to get his father for their scheduled shuffleboard game. 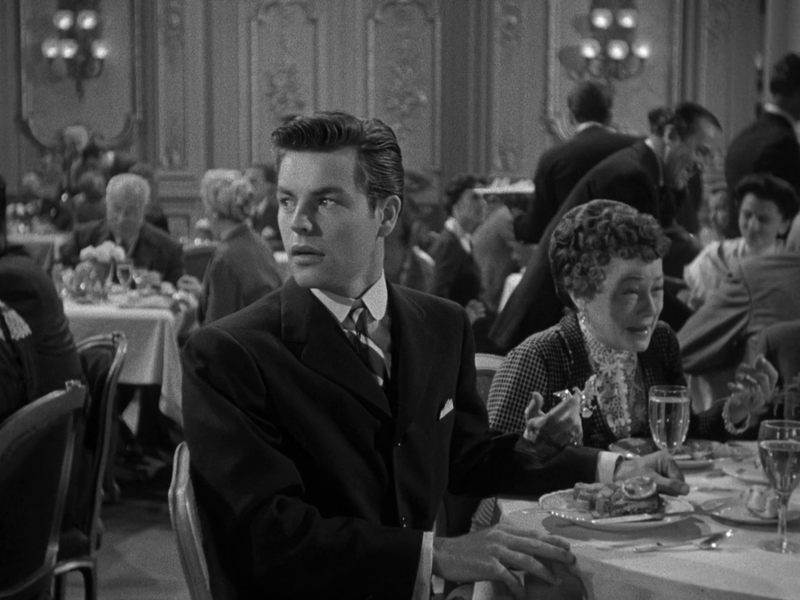 Instead, Richard decides to play bridge with some fellow passengers Maude (Thelma Ritter), Earl (Allyn Joslyn), and George (Richard Basehart), leaving Norman mystified and hurt by his father's demeanor. Annette on the other hand, fares better as a handsome young man named Gifford Rogers (Robert Wagner) has set his sights on her and is desperately trying to woo her. 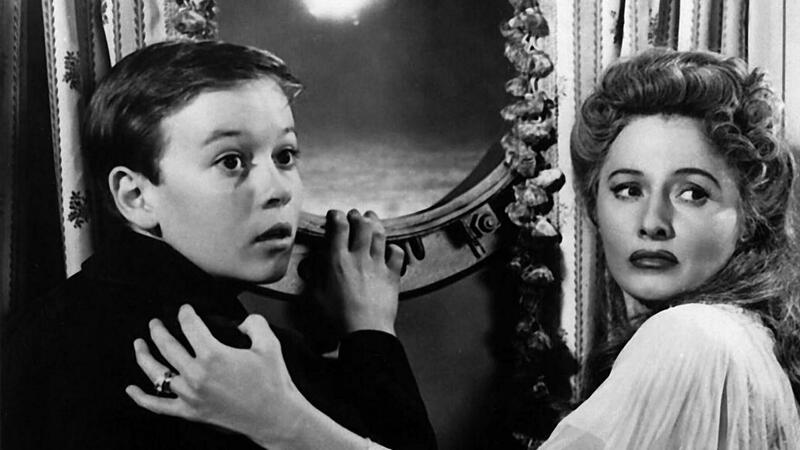 While the Sturges family drama is taking place, there's another one about to happen. After being given a hint from the representative from his employer, the White Star Line, Captain Smith (Brian Aherne) pushes the ship to go faster than it should so it can set a new world record for the transatlantic voyage. 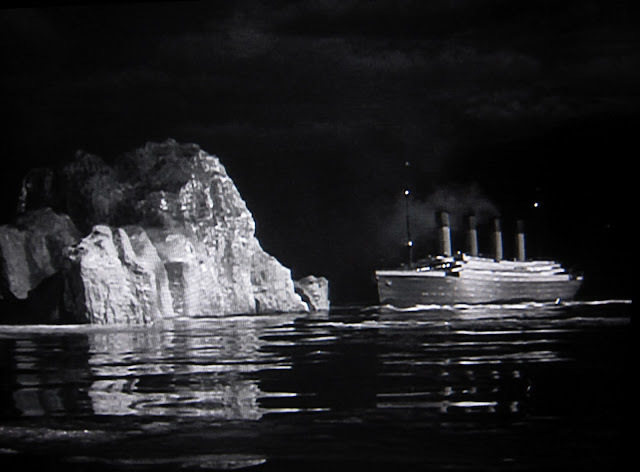 Warnings of icebergs in the area are ignored by Captain Smith which puts the Titanic traveling too fast through a minefield of icebergs. When an iceberg is sighted dead ahead, it's so close that even with the crew rushing to avoid it, it still hits the iceberg which leaves a gash below the waterline. It's just a matter of time before the ship sinks, a fact that Richard learns when he questions Captain Smith. Richard returns to tell his family to dress warmly and to get up on deck. When the ship starts to sink and their dire situation becomes more apparent, Julia realizes that Richard knows he's about to die with the rest of the other men and that he's being brave for his family. That realization reminds her of why she fell in love with him in the first place and they two reconcile before they are separated. Julia and the children are placed in a lifeboat while Richard looks on from the deck until he is called away to help others. Norman jumps out of the lifeboat to remain behind with his father to face the end together. It's a gesture that packs an emotional wallop for his father who realizes too late how proud he is of his son and who knows that it's too late to fix the many mistakes he's made. All they can do is sing "Nearer, my God, to thee" as the ship sinks into the icy water. All of the Titanic movies always hit me hard by the end because the story of the doomed ship is so tragic on it's own, that when combined with an artificial drama to add even more pathos to the story, it's hard to be stoic in the face of such a tragedy. All of the factors that played a part in the legend (the biggest ship in the world's maiden voyage, the rich and famous passengers, the many ways that the story could have changed if warnings had been heeded, and the bravery shown by those that went down with the ship), add up to make for a powerful and emotional story that's captivated people for decades. In this instance, the focus is less on the ship and the other passengers and more on the troubled Sturges family. The conflict between Richard and Julia feels real and relatable and both roles are played very well by Webb and Stanwyck. Both excel at showing the bitterness that's grown between them over the years, but they also make their tearful reconciliation honest and heartbreaking. Even more painful for me to watch was seeing Richard and Norman facing their end together where Richard finally showed his true character and his love for his son. The special effects are also quite good for its time. It's very hard for me to pick a favorite Titanic movie as they all have differing aspects that appeal to me. For this movie, it's the story of the family, for A Night to Remember it's the attention to details, and James Cameron's Titanic provides some amazing special effects and the most historically accurate account known at the time. Of course, even since Cameron's movie, we've learned even more about the sinking so none of these movies are 100% historically accurate, but each of them has enough truth to them that we can still be awed by this unfathomable tragedy that forever changed our thinking about our industrial superiority. This 1080p (1.33:1) transfer is probably the best one we will get for this movie and from all accounts, it's much better looking than its previous DVD release. This black and white film looks for the most part very sharp although there a few rough and soft looking shots that show its age. The black levels are deep and inky while the gray and whites levels also look good and blend well together. There's a haziness in the picture (especially towards the end) that I believe is intentional and when combined with some visible grain it really gives the movie a cinematic flair. The issues that plagued the earlier release seem to have been corrected here as there's no significant blemishes or digital defects to complain about. Titanic's DTS-HD Master Audio 1.0 Mono track sounds pretty good despite its limitations. The film's dialogue is clear and easy to understand but the rest of the audio doesn't quite meet the same quality. The sound effects are fairly weak sounding and don't expect a whole lot from the LFE channel. 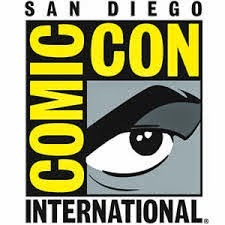 While this track may be limited, the filmmakers wisely used that limitation to their advantage by not adding music to the film (except for the opening titles) which makes the following events seem more real as if they are being recorded by a documentary crew. Also, with the ship's engines running constantly in the background, it adds a new level of versmilitude that shakes the viewer awake once the ship hits the iceberg and the engines are shut down. That eerie silence really adds a lot to the overall atmosphere of dread. For an older film with a Mono track, this sounds pretty good and fans should be happy with it. I wish there were more extras than these but I did enjoy just about all of them with the exception of Richard Shickel's lackluster commentary. 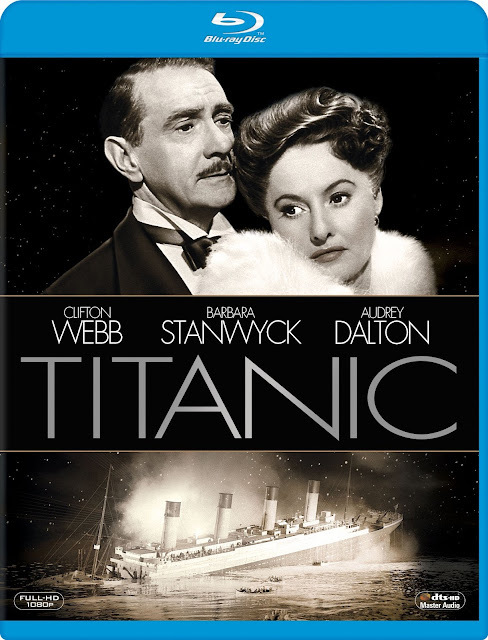 Audio Commentaries – We get two commentaries on this disc which is nice, with the first one done by film critic and historian Richard Schickel of Time Magazine, and the second one by Robert Wagner and Audrey Dalton, cinematographer Michael Lonza, and Titanic historian Sylvia Stoddard. Shickel's commentary wasn't as good as I was expecting it to be as he seemed to be unprepared and even offered some incorrect historical information. He also fell into the trap of describing what's on screen instead of giving us information we didn't have. His effort came across as lazy and detached and I expected more from him. The second track is made up of comments made by some of the people who were actually part of making this movie and their comments were a lot more informative and interesting. Coming from a good mix of actors and behind the scenes talent, this track covers a wide variety of both technical, historical, and anecdotal information. I'd recommend listening to this one over Shickel's. Audio Essay – In this followup to her previous thoughts during the film commentary,, Titanic historian Sylvia Stoddard continues where the movie left off and discusses the rescue of the Titanic survivors and their subsequent return to New York and the aftermath. I also enjoyed this too but then again I also love history. Vintage Newsreel Clips – We get to see two Fox Movietone clips that run about two minute combined. The first one is devoted to covering this film's premiere which was held to benefit the Navy Relief Society with appearances by: Ed Sullivan, Nanette Fabray, Charles Coburn, and Debra Paget. The second newsreel, shows us some highlights of the 1953 Oscar ceremony with an emphasis on the winning movies that Fox produced. Still Gallery - There are twenty black and white photos included for your perusal. I enjoyed this movie a lot more than I thought I would and Fox has also done a very nice job bringing the film to Blu-ray. If you can't get enough of Titanic movies like me, then you will most likely really enjoy this film too. The audio and video quality are a step up from the previous releases and the extras (while not as extensive as I would have liked) are also informative and entertaining. This movie is highly recommended!